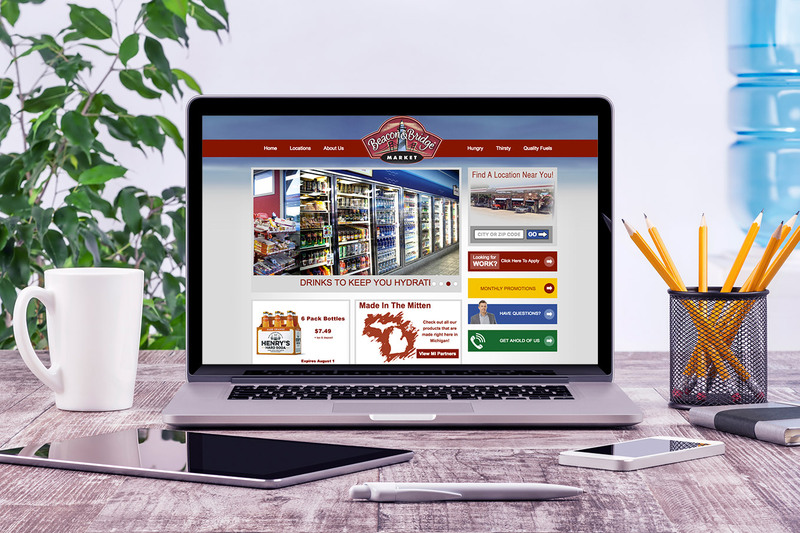 Beacon & Bridge Market is a family-owned convenience store chain that is located in Flint, Michigan. 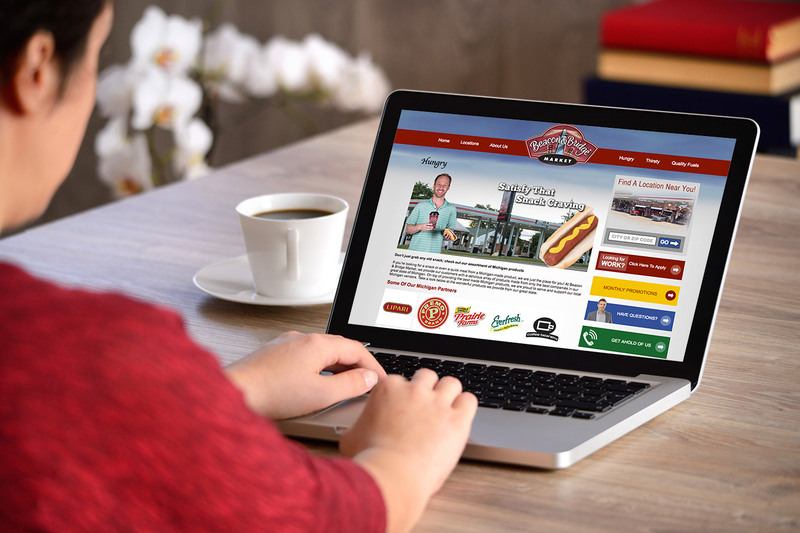 When we first talked with the team at Beacon & Bridge it became clear that they wanted a new website that would promote their business, reach a bigger audience, and integrate with their social media pages. Their current site was old and out-dated and they were getting frustrated with the limitations. With the new website Beacon & Bridge customers can find a location by city, zip code, or through an interactive map, get monthly coupons, look for open positions at their stores, and much more.